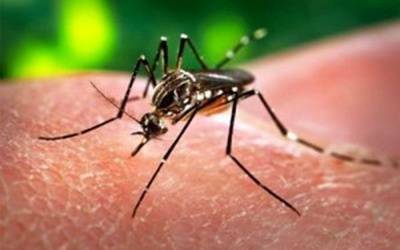 New York, Aug 27 (IANS) Zika virus infection has been associated with several neurological complications and researchers have now reported that it may also lead to sensory polyneuropathy – damage to nerves that receive sensation, such as temperature, pain, vibration or touch, from the skin. In a paper published in the Journal of the Neurological Sciences, group of researchers from Honduras, Venezuela and the US described the first case of sensory polyneuropathy associated with acute Zika virus infection. "Clinicians should be aware that Zika virus infection can also cause an acute infectious sensory polyneuropathy," said first author Marco Medina from Universidad Nacional Autonoma de Honduras. "Our patient is the first confirmed Zika infection case report associated with an acute sensory polyneuropathy which began during the acute infectious phase,” Medina said. This suggests a probable direct viral inflammatory process affecting sensory nerves, but an autoimmune etiology cannot be definitely excluded, Medina added. The new publication is part of the collaborate efforts of the World Federation of Neurology Work Group on Zika. Concerned about the increasing number of neurological complications related to the Zika virus, the WFN recently established this forum to contribute expertise to the coordinated global response to the Zika crisis. A large percentage of people suffering from Zika virus infections are asymptomatic or show only mild symptoms. But potential neurological complications can be dramatic. "Zika virus infection has become a new emergent neuropathological agent with several neurological complications," John England from School of Medicine, Louisiana State University Health Sciences Center in New Orleans, US, said. "Outbreaks of Guillain Barré Syndrome (GBS) associated with Zika virus infections have been reported as well as a high occurrence of a syndrome associated with congenital Zika virus infection, mainly microcephaly with brain malformations,” he pointed out.